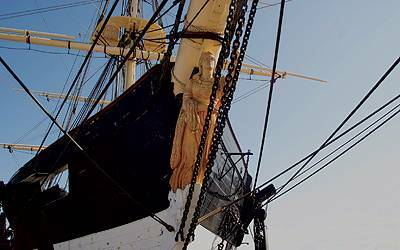 Feel the cordage and tar of the frigate Jylland affect you and let your imagination run wild on a journey through the Danish history and out on the great oceans! 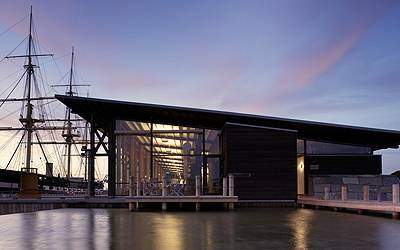 Come face to face with a genuine naval hero from the frigate Jylland. Become a seaman and receive your own personal discharge book when you have learned how to make cordage, set sail and shoot with the heavy cannons. Use your skills in the naval battle 1864, where the cannons thunder and the deck rocks. Here you experience the battle at the closest range possible! Step onboard and experience the old skipper's tales and sailor destinies in the crew's quarters, where 350 men slept in hammocks in former times.